CoFair QRQC425 Roof Repair Tape - 25' x 4"
CoFair Roof Repair Tape - 25' x 4"
The CoFair QRQC425 Roof Repair Tape is a roll of self-adhesive tape designed to seal your seams, cracks, and prevents leaks on your RV or motorhome. Reinforces your seams, joints, cracks, and stress areas. 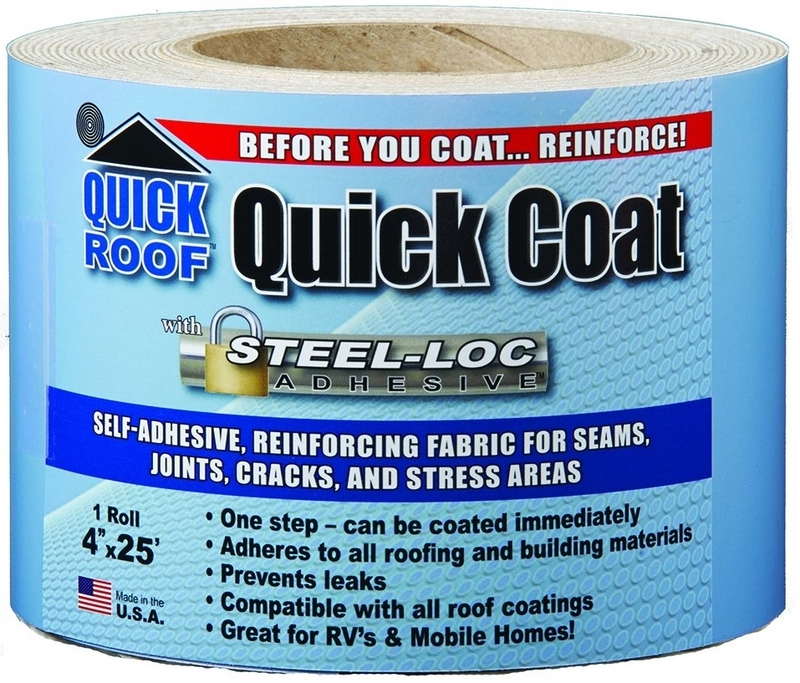 Sticks to any roofing and building material. Works on any roof coatings. One step - can be coated immediately. Can be used in temperatures as low as 25 degrees Fahrenheit. Dimensions: 25 ft. long x 4" wide.